Sony Ericsson leveled a trademark infringement suit against Clearwire Corporation in January, 2011. 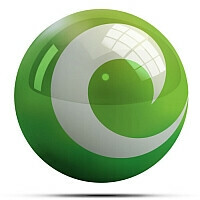 The suit pertained to Clearwire's logo (pictured), which very closely resembles that of Sony Ericsson. Sony Ericsson has announced today, however, that they have dropped the litigation. No, they aren't conceding that people will know the difference. They dropped the suit because Clearwire told the courts that they no longer intend to bring a smartphone to market. And since there won't be a Clearwire smartphone roaming around looking like a Sony Ericsson knock-off, the logos' similarity is irrelevant. In their press release, Sony Ericsson says that they remain "focused on preventing consumer confusion and protecting [their] trademarks, especially in the field of mobile devices." But we have to wonder about Clearwire's development of the Sony Ericsson-esque logo. Did they have the SE logo in mind when they revamped their own? It is a beautiful logo, so we don't really blame them. But perhaps they should have gleaned an idea from a product sector more removed from their own.